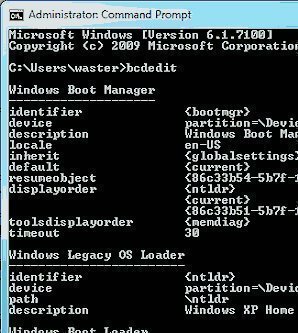 Ntoskrnl.exe (Windows boot up kernel) is a vital component utilized in the boot process for NT based Microsoft operating systems. It is also responsible for a host of system services such as process and memory management, security management, object management, hardware virtualization and so on. It holds several sub systems: Cache Manager, I/O Manager, Configuration Manager, Local Procedure Call, Memory Manager, Process Structure, Object Manager and Security Reference Monitor. Collectively, they form part of Executive services and System Services. As a result of such critical responsibilities, ntoskrnl.exe is a fundamental constituent of the Windows operating system. In NT based Windows operating systems, ntoskrnl.exe is part of the Kernel mode. The kernel mode has complete access to the hardware and software components of the system. It acts as an intermediary between user mode services and applications and system critical modules. User mode services and applications have to utilize the kernel mode to indirectly communicate with the system critical modules, if they need to perform any important operation. Kernel mode contains the executive services, kernel, kernel drivers, and a Hardware Abstraction Layer (HAL). It is the sub-system that all other executive sub-systems must go through in order to have access to Windows resources. This operational style ensures that the resource management task for all the other executive subsystems is taken care of by the Object Manager, and there is no replication of tasks. This sub-system executes the Windows registry. The Cache Controller provides a common cache for normal file I/O, by synchronizing with the Memory Manager, I/O Manager, and I/O drivers. LPC ports are used by Executive sub-systems to contact user sub-systems, by user sub-systems to communicate with their clients and as the starting point for the local transmission of Microsoft Remote Procedure Call (MRPC). The Memory Manager handles virtual memory, memory protection, and the paging of memory that passes in and out from physical memory to secondary storage, and applies a general allocator of physical memory. The I/O Manager authorizes devices to communicate with user mode sub-systems. It interprets user mode read and write commands into read and write IRPs, which it then passes on to device drivers. The Power Manager takes care of power events such as power-off, stand-by, hibernate and so on. It also alerts drivers affected by a power event with special power IRPs. The PnP Manager manages Plug and Play. It provides support for device recognition and installation at boot time. The Process Structure takes care of process and thread formation and termination. It applies the concept of Job, which is a collection of processes that can be stopped as a whole or put under shared restrictions. The Security Reference Monitor is the main control for implementing the security guidelines of the security integral sub-system. It controls the access of resources or objects by the means of access control lists. 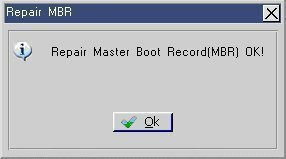 How to Recover a Boot Record in Windows? Congratulations on this great article. +1 from me. 121 queries in 0.457 seconds.